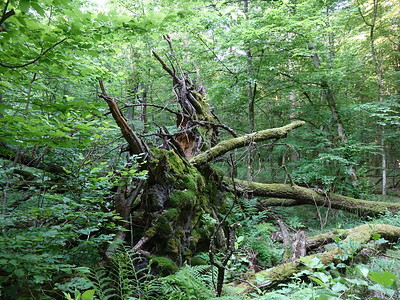 Belovezhskaya Pushcha / Bialowieza Forest is an ancient woodland straddling the border between Belarus and Poland. This is the only remaining part of the immense forest which once spread across the European Plain. Pine, beech, oak, alder and spruce are found in the forest. The forest contains a number of large, ancient pedunculate oaks, some of which are individually named. It is also the habitat of several rare mammals, including the European Bison, wolf, lynx and otter. The European Bison or Wisent was reintroduced here in 1929. Reading reviews about this site, I was not enclined to spend too much time trying to get to tick it. I am not a big fan of animals in captivity. As I had a rental car on the Belarus side, my objective was (as Soligvant mentionned) to enter the UNESCO inscribed area and « experience » the forest. I tried to research the best way to visit the forest while skipping the touristic village (called « Father Frost Village ») or being driven around in a tractor for a « photo-safari ». I first tried the north-south road parrallel to the Belarus-Polisg border, leaving from Nezbodichi village. Unfortenately, this road is closed by military police, being in a border area, and is checked. I was (very politely) turned down just after having passed a big roadsign welcoming me into the national park (but not in the inscribed area after the 2014 boudary modification). Leaving the border area I took a road 3 km east, leaving from the village of Grinki. Bad luck again. The road is blocked by a wooden fence just at the national park (and inscibed area) limit (see picture). The key to gate’s padlock is hidden in one of the stakes. Just after having been turned down by military police, I did not dare to drive through. Instead, I went into a one-hour hike in the forest. I was a very nice walk in the forest, along a very kind local dog. I then drove along a main road (the P47) south of the village of Porazava. The road enters the forest afetr Novy Dvor for a few kilometers, and then crosses a natural bog area for a few kilometer. This forest and the bog area is part of the inscribed area after the 2014 boundary modification. Visiting the northern part of the site was enough for me to fulffill my objectives and to tick an additional site, even if I had not seen any wild bisons. I spend maybe two hours altogether, and decided not to send more time, preferring to see some time on TL sites on the road back to Minsk. In common with Nan, we felt that we were arriving at Bialowieza (Sept 17) without a clear picture of the best way to see this WHS, despite a fair bit of research. So, when we reached the area somewhat earlier than we expected from Zamosc, we drove on the 22 kms past our booked hotel in Hajnowka to the “village” of Bialowieza to try to establish how best to spend the time we had scheduled the next morning for our main visit. Bielowieza may be categorised as a “village” but nowadays it is clearly a busy resort/tourist centre and at the end of the road is a pay car park and a collection of souvenir stalls, restaurants and huts displaying “I” signs for “Information Centre” - these are in fact commercial tourist agencies selling visits of various sorts inside the Bialoweza National Park (BNP) and surrounding areas. Behind them, running between 2 lakes, is a path leading into the “Palace Park” where the BNP HQ, Nature and Forest Museum, Guest House, Educational Centre and official “Tourist Information Point” lie. This latter is situated in the museum foyer. 1 zloty bought us a single page flyer which contained a reasonably detailed map of the BNP and related areas. No freebie documentation is available other than the flyer of the PTTK or “Polish Association of Touring and Sightseeing of Bialowieza”. a. Do your own thing in the “open” areas. These are not inconsiderable, though you would need your own transport to access them fully. There are a series of hiking/cycle/ski trails and a number of “Bison Refuges” along them, which consist of clearings with a viewing platform and hay racks – Free ranging Bison gather here to feed, particularly in early morning in winter. However, most of them are in the North of the inscribed area and best reached from Narewka. Only the Strict Nature Reserve (SNR) within the BNP is closed to you unless you are accompanied by a BNP-licensed guide. There is also the pay to enter Bison Show Reserve (i.e “Zoo”) around 3kms from Bialowieza. b. Employ a guide from the PTTK either to go into the SNR (just 1km from the BNP HQ) and/or to assist you in wildlife viewing in the other areas. The flyer offers a wide range of tours - 3 different “levels” of walk in the SNR (6, 4 or 3 hours) and, outside the SNR, e.g Dawn bison tracking, the forest by night/ by twilight/by bike, an ornithological morning and even a trip by bike (9 hours) to see Father Frost on the Belorussian side of the park (No visa required)! A lot of the trips need prior booking, some are limited to 6 people and others to 8 or 12. Some will combine individuals or smaller groups whilst others will not. Some start at a specific time, others go as required. All are based on a “group price”, depending on the length of time, which needs to be shared among the participants and to which must be added any BNP (or Belorussian) entrance fees. The sort of group prices quoted are 258PLN for a 3hr SNR trip and 660PLN for a 6 hr Bison tracking trip. Where transport is required (as in the latter) you either provide your own car or get a guide who has one and pay the extra. If you want to go on any of these you need to go to the PTTK huts at the entrance and see what is available or can be organised either that day or the next. c. “experienced” the Forest in general but without the requirement to have seen it in depth or to have seriously attempted to see its “iconic” wildlife in the wild. Which takes us to the definition of the “Inscribed area”! The best maps of this are on pages 254 and 256 of the Nomination File for the 2014 extension. They alone have a clear red “UNESCO line” around the bewildering variety of types of overlapping land areas with different titles - BNP, SNR, Protective District, Biosphere Reserve, numerous Forest Districts etc etc which make up the WHS. Each of these areas is shown with different shades of green to indicate different levels of protection and governmental responsibility. The line also shows the excluded enclaves within the external boundary – villages (such as Bialowieza), forest clearings etc. The inscribed area of “Bialowieza Forest” within Poland is now considerably larger than the BNP. Amazingly, NONE of the many notice boards in the forest and villages around the area which contain large examples of the map provided on the “1 zloty flyer” show the UNESCO boundary or even mention “World Heritage” or show the UNESCO logo. The only place we saw the logo was on the flyer’s front page. A further complexity is that not even all of BNP is inscribed!! In 1979 ONLY the SNR, the 2 areas making up the Breeding Centre and Show Reserve and the Palace Park were inscribed – these then constituted the BNP but, in 1994, Poland extended the BNP but didn’t apply to extend the WHS. In 1992 Belarus had added a large area of its forest, much of which was less “pristine” than Poland’s SNR and Poland was under pressure to add a similar range of secondary forest, which it did in 2012. But, in 2004, it had been suggested that the Palace Park and Breeding Centre/Show reserve should be removed (See page 13 of the Nom File - “According to suggestions of the experts visiting the Site in March 15/19, 2004, the boundaries of the Site should be changed. 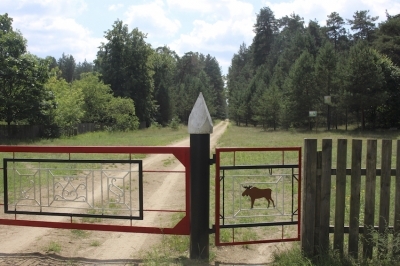 It is suggested that the separate areas now belonging to the Site (Polish part) such as The Palace Park (the area of 49.04 ha) and the European Bison Breeding Centre (the area of 274.25 ha) should be excluded as, according to the report of the Joint UNESCO/IUCN Mission to Belovezhskaya Pushcha/Bialowieza Forest, (they) do not carry World Heritage values. The World Heritage Site should be enlarged, however. We agree with the statement that the Palace Park (the area of 49.04 ha) does not carry the World Heritage values. Nevertheless, we are convinced that the European Bison Breeding Centre (the area of 274.25 ha) is the unique place for the restoration and conservation of the European bison. That is the place where the process of species restoration started…..”. So, in its 2012 Nomination File, Poland accepted this argument for the Palace Park but NOT for the Breeding Centre/Show Reserve – and UNESCO/IUCN apparently concurred. Thus the maps of the current inscribed area show the Palace Park as green, being part of the BNP, but NOT within a red line as being part of the UNESCO WHS! The other area of BNP extended in 1994 was included within the 2012 extension, together with many Forest Reserves. The net result is that, to enter the WHS you merely have to travel via any route to the uninscribed “enclave” town of Bialowieza (although you will not have entered the BNP in doing so)!! You do not need to visit the SNR (though you may wish to do so to see old growth forest). If you then visit the Show Reserve you will also have been in the WHS but do not need to do so for that purpose. If you visit the Palace Park you will not be entering the WHS. I hope that is all clear now! We decided to visit the Show Reserve that evening (seeing bison, wolves, moose, deer and wildcat) and to do a walk the next morning within the BNP, but without a guide. For this we chose a trail in the North close to the Belarus border where there was a Bison Refuge. But, before leaving the Palace Park, we visited the 1845 Manor House, now an “Educational Centre” and the only original building left within the Palace Park (The Palace was the Russian Tsar’s Hunting Lodge and had been destroyed in 1944). This had a (free!) temporary display of several hundred species of Fungi picked from the forest. An enthusiastic PhD student explained, in excellent English, the intricacies of forest fungal life. Our visit coincided with the height of the “Mushroom season” - which explained the timing of the display. 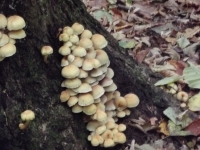 Among interesting facts were the need of some fungi for several different species of trees for their entire life cycle and the need of some for dead wood of a certain age and girth which different species inhabit in series during the overall decomposition process according to their particular “needs”. One of the team had even, within the last few days, “discovered” a new fungal species in the forest! This provided an additional dimension to what we would see on our walk the next day and also explained the importance of the Old Growth Forest with its trees of great age and variety. 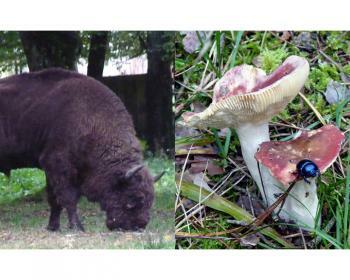 In conclusion – don’t visit Bialowieza just to see Bison – go in Sept and have a look at the Fungi too!! We started our walk the next morning from the car park at Stare Masiewo (52.816945, 23.924525). This took us inside the forest area of the BNP for the first time. And, yes, we saw a great profusion of mushrooms of many species! We reached the Czolo bison refuge (the hay rack was full but there was no sign that any Bison had visited it in recent days) and walked to within 15 metres of the Belarus frontier markers (notices warned against approaching closer!). We were the only people in that area of forest apart from 2 village ladies picking mushrooms! We also passed an old cemetery belonging to the now defunct village of Czolo - confirming that the thick forest we were walking through was not old growth. The history of the village provides a vignette of the troubled times the forest passed through in the 20th C. Founded by German Evangelicals in mid 19C when part of Russia, the inhabitants left with the retreating German army at the end of WWI. The main visible grave is of a Polish soldier killed by a Russian sniper in the 1920 Polish-Soviet war when Poland captured the area. The village was then taken by the Soviets in 1939 during the partition of Poland and then recaptured by the Nazis in 1941! Reprisals and deportations took place under both but the latter moved all the village buildings to a location now in Belarus and set about returning the area to forest. This “Wilding of Bialowieza” figured significantly in Nazi plans for their newly acquired lands and Goering had a particular interest in the Forest – if you want to know more have a look at the National Geographic video titled “Hitler’s Jurassic Monsters”. So - we might only have given it a few hours and couldn’t claim to have seen its natural attributes in any depth but feel that we made good use of the limited time to achieve some good experiences and acquire a reasonable understanding of the WHS. For most Poles I know the bisons of Bialowieza are a symbol of their country. The core zone of the park is a fully protected nature reserve housing the last bisons of Europe as well as other rare animals that roam freely between Poland and Belarus. Seeing that you will probably not run into a bison on your own, the park also has a small zoo with all the key animals on exhibition. The zoo is embedded in the forest and gives you a rather representative image of the wild life. Due to a lack of preparation and in my opinion rather poor online resources I wasn’t aware of the access restrictions. While the museum and the bison reserve are part of the core zone, I could not venture into the forest itself as you need a guide and we didn’t have a reservation. This was a bit underwhelming. Indeed, I had a hard time taking a nice picture, never a good sign. At the end, I was left wondering if this wouldn’t be better served as a Unesco biodiversity hotspot. Maybe it's better on the Belarus side, though. 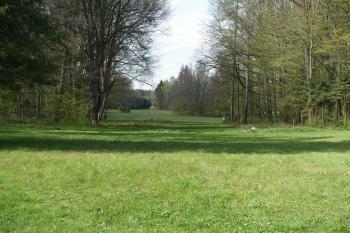 Of late the Polish government is reviewing the protections of the park. They would like to extend logging activities. A minister is on record saying that the site should be converted to a cultural site. I am hard pressed to see the cultural value here apart from the large imprint on Polish cultural identity. If the Poles move ahead with their plans, the Polish side of the park may well be a candidate for a future delisting. There are regular busses running from Bialystok to Bialowieza. If you have a car I would recommend doing the small detour via Narewka along the park border. Supposedly you can also access the park from the Northern side. At the park museum you can join guided tours into the protected area. In high season (e.g. long weekends), you will need a reservation. Luckily, the area around the museum is part of the core zone. And the bison reserve is, too. How and where trails run seems a bit hard to discern. You can visit the Belarus side as pedestrian without visa. You need a passport and health insurance that you can obtain in the town plus a filled out form. The Russian Tsar had a hunting lodge here that you can visit. He even left his historic train at the train station he had built. The area along the road from Bialystok is dotted with wooden churches akin to inscribed churches of Poland, but more recent in nature and way more colourful. In a way they reminded me of the Chiloe churches. Bialystok itself is a pleasant stop over. And you will cross plenty of swamps along your way. I visited the Polish side in autumn when few other visitors were around. Enjoyed long hikes in the forest examining flora and fauna. The varity of fungi that I found on rotting trees was amazing. Wandered off the track at one point and found myself on the Belarus border. Not good as I didn't have a visa. Saw a range of animals in a reserve, including deer, bison, lynx and wolves. I travelled by bus to Bialowieza from Vilnius, changing buses in Bialystok. Belovezhskaya Pushcha was the greatest disappointment ever as a WH site. We have visited Belorussia as a part of a Baltic trip in August 2007, the first stop was Brest, the ideal jump off point to visit the national park. But the problems begun much earlier. Normally every trip begins with scrutinizing all the possible on-line (and some off-line) resources on the designated topic. Obviously the quality and quantity of resources vary. A WH site in Europe can have an elaborate website with all the necessary information , and there are a lot of reviews on different touristic and scientific sites that help the wishful traveler where to go and what to do. Belovezhskaya Pushcha was a black hole. I have found only two types of materials: detailed botanical essays on the flora (absolutely uninteresting for a group of historians), and enthusiastic reviews (mainly in Russian) on the historical importance of the regions. No practical information at all about the opening hours, the visiting opportunities, the prices, what we can see and how can we get there. So we had to lean on our off-line guidebook – a Lonely Planet Russia and Belarus. Unfortunately I was unsuspecting when I read that the writer put the entire country “off the beaten track”, and 80% of the Belarus chapter is about the capital. About BP there ware cca 50 words, and an allegation (false by the way), that can only be visited with a guided tour from Brest. I called the local tourist agency and reserved a tour for us (heavily overpriced). After the Sovjet type horror of crossing the border (four hours) we have arrived to our hotel in Brest five o clock in the morning. After napping a short while we met our guide – a nice elderly lady. Considering that Belarus is the last dictatorship of Europe she was surprisingly opened. On the way to the park she entertained us with colorful stories on the survival skills of the Belorussian (what and how to smuggle from Poland), and harshly criticized the government. After a half an hour we arrived to the entrance of the park. The secret unveiled – the car park was full of local Zhigulis, and families visiting the park (or whatever seemingly without any kind of guidance. The entrance fee was nominal – a cannot recall the exact amount. Anyway we were keen to go ahead. In our minds there was picture evoked by the enthousiastic reviews: the last untamed wilderness of central Europe, were bison bask on the glades among centennial oak trees, and the troat of wild deer mingling with the deep roar of the wild boar. What we got instead? A dodgy Sovjet era museum, with grey and brown displays of the local flora and fauna, and a gloomy zoo. Behind the bars there were the animal we wished to spot: deer, wild boar, bison. With a heroic effort we pushed our camera in to make some photos, to catch the animal as if it were in its natural habitat. We hoped that the highlight is yet to come - but what came was not the highlight but the climax of the horror. So we turned back to Brest to see the fort. So, unless you are a real enthusiast, and want to collect a point for the WH site, do not go there. Or try the Polish side of the park, it may be much more rewarding. Treaties: "The Belavezha Accords is the agreement which declared the Soviet Union effectively dissolved and established the Commonwealth of Independent States in its place. It was signed at the state dacha near Viskuli in Belovezhskaya Pushcha on December 8, 1991, by the leaders of Belarus, Russia, and Ukraine." Royal Hunting Grounds: ..King Sigismund also built a new wooden hunting manor in Bialowieza.... The forest was declared a hunting reserve in 1541 for the protection of wisent (European Bison). Hunting Lodge or Castle: The Hunter's Lodge is the oldest surviving building in the Polish part of Białowieża Forest.